The ACT Budget will be unveiled on Tuesday, 5 June 2018, and each year the Budget has a real impact on the level of arts activity, services and opportunities in the ACT. Inspired by Ben Eltham’s Handy Guide to Reading Government Budget Documents, I wanted to help artists and arts supporters in the ACT to find and understand these impacts as quickly as possible. The Budget can be a daunting piece of work, with hundreds of pages to sift through and a lot of technical language. But if we know what we’re looking for it’s a lot easier. We’ll be breaking down the whole budget to find every little scrap of arts info we can get our hands on. Let’s get stuck in, hey? New funding for announcements and initiatives, and changes to existing construction budgets. Aside from the total level of arts and cultural funding in certain areas, cuts to individual programs or funding areas are often invisible. Anywhere that funds are transferred within a budget, including artsACT’s funds, are not generally shown. 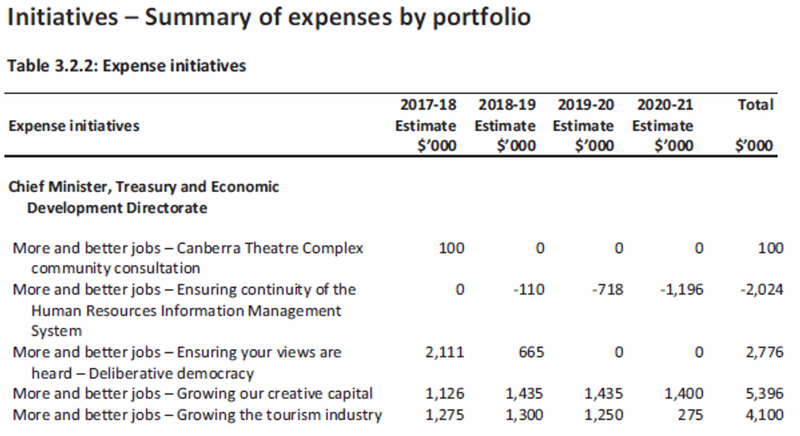 The details of artsACT’s expenditure is partially disclosed in advance from time to time within their communications about successful grantees, and fully disclosed only after the end of the financial year, within the Chief Minister, Treasury and Economic Development Directorate (CMTEDD) Annual Report. Each year the budget is comprised of three papers, and a set of Budget Statements. We’ll go through each section. 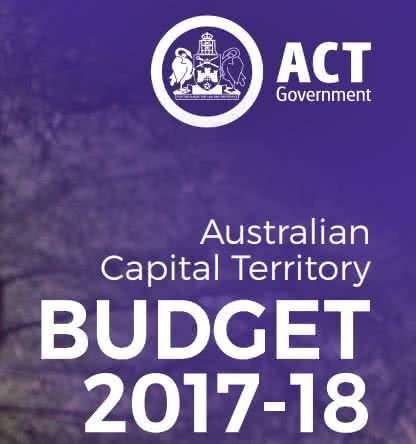 The images below are all from the 2017-18 ACT Budget. 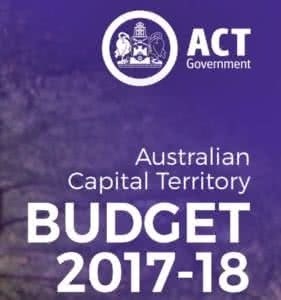 However, Budget formats change from year to year and new elements may be added, so read tables of contents to see if any headings appear new and relevant, or look to the ACT Government Budget Reading Guide for help. The word from the Chief Minister, with key announcements and overall themes. We obviously hope to see major arts investments announced and celebrated as an important part of the ACT’s character and direction. This section provides context to any discussions about what is funded in a given year. This paper is divided by type of service to the public, and can be short on detail especially on small initiatives. It never, ever talks about bad news. Initiatives are grouped under press-friendly headers like “More and Better Jobs” or “Better Support when it Matters”. These titles can give an idea as to what the Government’s priority might be in approving that initiative, but they cut across all kinds of activity so any category may have arts implications. It’s worth browsing each category to learn what the Government’s priorities are and what language they use to describe them. These categories appear in the next section as well. Key expenses are localised on the Town Centre Map. The real budget. “Announcements” live in the New Initiatives chapter and if you want to skip to the good bits, head there straight away. High level analysis of major trends such as demographics, housing, employment. No arts details. The guiding principles and influences the Government has applied in making its decisions, eventually expressed as a summary of the cost of living for various hypothetical Canberrans. No arts details. This summarises all “Initiatives” – new activity spending introduced to this year’s Budget, projected over the coming four years. Most arts initiatives will be included in the CMTEDD section, as well as under Cultural Facilities Corporation. Other arts opportunities could be elsewhere if they are delivered by other directorates – for instance, arts and health could be a Health initiative. Titles here are brief. This is all the new money. Negatives are either cuts or savings. Each line has a corresponding detail breakdown entry in the following pages which explains what the initiative is in a sentence or two. This is what the funding will be used for. Here is the summary of new infrastructure and capital initiatives for this year’s budget. As above it shows a four year projection, which can help to understand when a project is expected to be finished. Once again, each item has an entry in the following pages with a sentence or two, which goes into more detail about when the capital is being invested, when depreciation commences, and any offsets (say, no longer having to hire the equipment, more efficient running costs, or if funded through the Better Infrastructure Fund for new improvements to existing infrastructure). A high level overview of major influences on expenses. The closest thing we have here is “Recreation and culture” which is not detailed enough to learn much from. That said, we probably don’t want to see any arts activity mentioned under “Savings”. 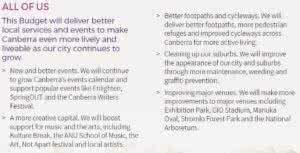 This section has a summary of new capital works – building projects – which might include arts facilities, but is not an exhaustive list, unlike the initiatives section. Works in progress also appear here in summary, but for full detail see the Appendix – Capital Works – Works-In-Progress. Levies, taxes and service charges. No arts details. National Partnership Payments are Federal Government programs delivered via the ACT Government. At least recently, no arts details, but details of Federal arts projects could conceivably show up here. The Government’s assessment of the value of its assets and liabilities at a high level including things like Territory debt, investments, loans and superannuation. No arts items. The ACT’s formal, standardised financial statements. Table 9.10 includes a breakdown of General Government Sector expenses by function, one of which is “Cultural Facilities and Services”, which may be worth comparing to previous year’s estimates for big shifts. “n.e.c” means “not elsewhere classified”. Further background information, some of which can be important. Capital Works – Works In Progress shows ongoing projects, which may have changed in scope. Current end dates are shown, which can be relevant to know when arts infrastructure is coming online. Details about changed budgets for capital projects – up, down, sooner or later – are now only found in the separate Budget Statements A-H so look there for more details. These are a detailed breakdown of the budget, sorted by Directorate. The most relevant of these is Budget Statement B – CMTEDD. ArtsACT/Events ACT funding is included under the CMTEDD section, and the Cultural Facilities Corporation has its own section. This document summarises priorities and may give some background to items included within the Budget Outlook. It also has the closest thing to an annual ACT “arts budget”. It shows the targets and KPIs that the Government has set for its arts program outputs. In 2017-18 these were Output 3.5: “Arts Engagement” and include total cost of Arts Engagement. Comparing to previous years is a reasonable gauge of increases or decreases to arts funding. Output 3.4: “Events” may also be useful to compare between years. “Controlled Recurrent Payments” in these sections means the amount that Territory Entities (in this case artsACT) receive for the delivery of services (including passing money on as grants to artists and organisations), and “Total Cost” is the sum of all expenses for those entities. Basically, the payments are the slice of the budget going to different bits of the government as income so they can operate. The Total Cost is all their expenses. 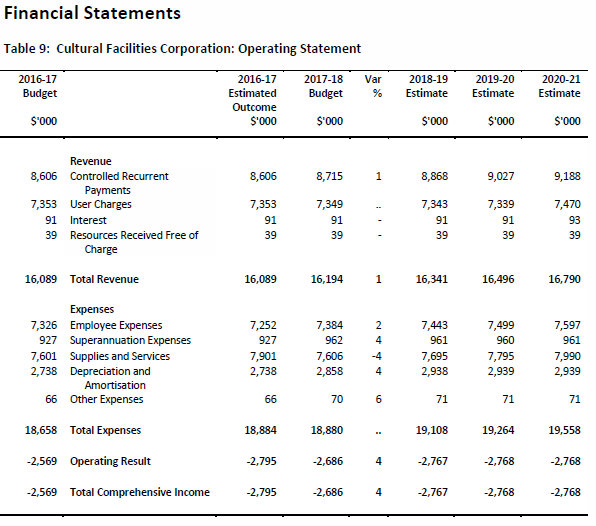 Scroll down a bit for another example – the Cultural Facilities Corporation’s operating budget from the Territory is its “Controlled Recurrent Payment”, while its “Total Cost” is all its expenses including employees, operating costs, and depreciation of assets. There is also a table of key targets that artsACT will be aiming to achieve in the coming year. Changes to Appropriation details all variations to the budget made in the previous year, and impacts of new policies. Significant changes should be identifiable in the Budget Outlook. This section also details budgets shifting between Directorates when responsibilities change. Cultural Facilities Corporation’s section is self-contained and has a breakdown of their key activities, future priorities, employment levels, any new expenditure projects, and an operating statement. For structural reasons, the CFC posts a loss each year roughly equivalent to their depreciation expense, and where Theatre trading performs ahead of the budgeted loss this is added to the Theatre Reserve. I’m hopeful we’ll see some good stuff in the Budget this year, both for artsACT funded activity by artists and arts orgs, maybe some more detail on the festivals and events promised before the last election, and maybe even seeing the ball start rolling for the Cultural Facilities Corporation and their long-awaited new theatre. Tuesday 5 June is the day to watch. I hope this was helpful, and if you have any questions, or anything you spot that I’ve missed, let us know!